vaaleanpunaista pitsinnypläystä ja nappikauppaa: Talviset terveiset keskellä kesää-Winter greetings from the middle of summer. Talviset terveiset keskellä kesää-Winter greetings from the middle of summer. Kyllä se työnteko on, nyt haitannut harrastuksia.Anteeksi , blogi on ollut heitteillä viikon ja en ole kerennyt komentoida . Vieraillut olen kyllä monissa blogeissa mutta puhelimella , ja en tykkää kommentoida sillä. Olen pahoillani. Kiitos kaikille ihanille kävijöille ja kommentin jättäneille erityis iso kiitos,te tuotte iloa päiviini. Vaikka aikaa ei ole, päätin että osallistun MDUC tälläkin viikolla ja täältä sitä tullaan. Aiheena talvi. Tällaisella helistin kortilla lähetän talvisia terveisiä keskellä kesää. Paperit Maja Design uusimpia. Ihania. Koristeet Wild orchid crafts. Leimat magnolia. Kiitos että kävit ja mukavaa viikonloppua. Yes it is working, now hampered my hopies. I am sorry, the blog has been abandoned a week and I have not had the time to leave a comment. Yes I have visited many blogs, but the phone, and I do not like to comment on it. I'm sorry. Thank you all for the lovely comment and the visitors that have so special a big thank you, you bring joy to my days. Although there is no time, I decided that I participate MDUC this very week, and from here it will be. Theme of winter. 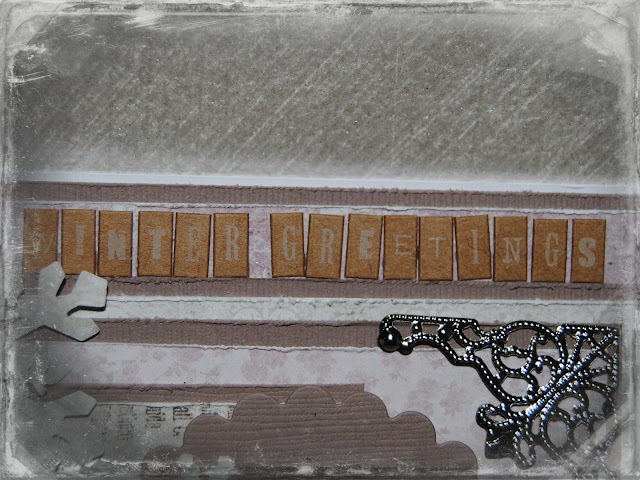 Such a rattle card I send greetings to winter in the middle of the summer. Paper Maja Design the latest. Wonderful. Decorations Wild Orchid Crafts. Magnolia Stamps. Thanks for stopping by and a nice weekend. Lets hope next week is a better week for you!! This is a very pretty card love the pearls. Such a beautiful card Marika! I love all the tiny snowflakes in your shaker... so cute! Thanks for joining us at Magnolia Down Under for the Winter Challenge. Yet another stunner. 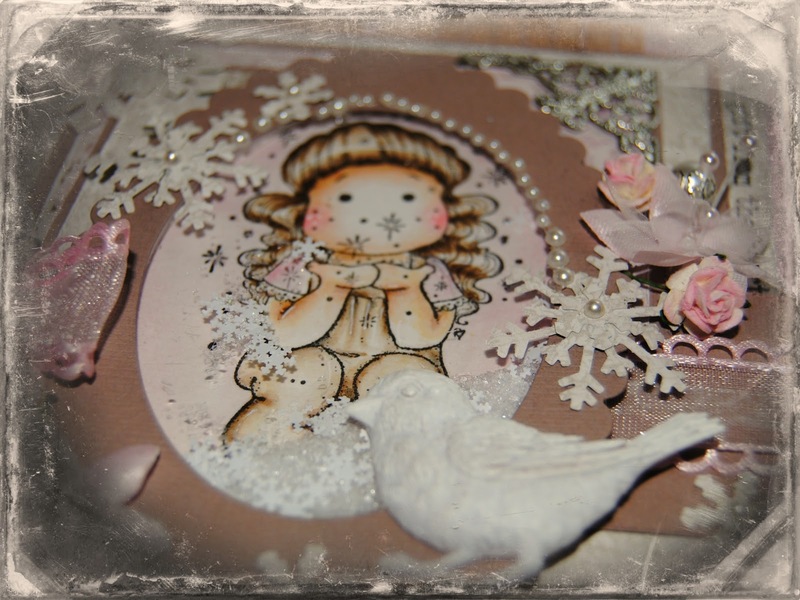 You always have such fabulous details to discover on your cards! Love this! Thanx so much for joining us at MDUC for our Winter Downunder. Many thanks for sharing with us at Creatalicious Challenges.